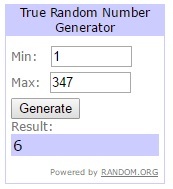 First off, we would normally choose a winner of last weeks TTGD, but whereas I don't have internet because I am currently in the middle of the ocean, we will procrastinate choosing a winner until next Tuesday when there will be a winner of last weeks and this weeks giveaway!!! Today's Terrific Tuesday Giveaway is being sponsored by Olie and Evie. 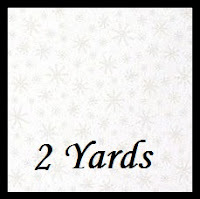 Rhonda has an adorable Etsy shop and she has just packed with lots of new wonderful pre-cuts and beautiful yardage!!! And Rhonda is having an awesome Blowout Sale with yardage priced from $3 - $7 a yard!!! Lots of pre-cuts are at reduced prices as well :) This is a great time to buy backings for quilts, replenish favorite prints, backgrounds and solids!!! 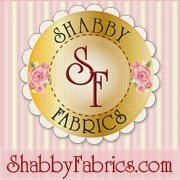 So pop on over and check it out!!! 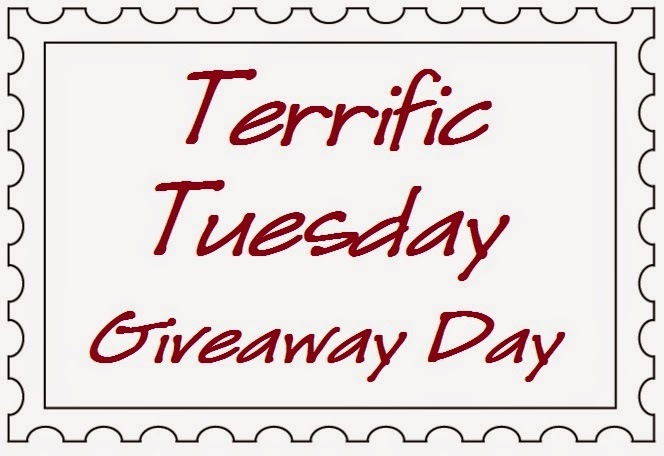 And Rhonda's Terrific Tuesday Giveaway is so super fun!!!! 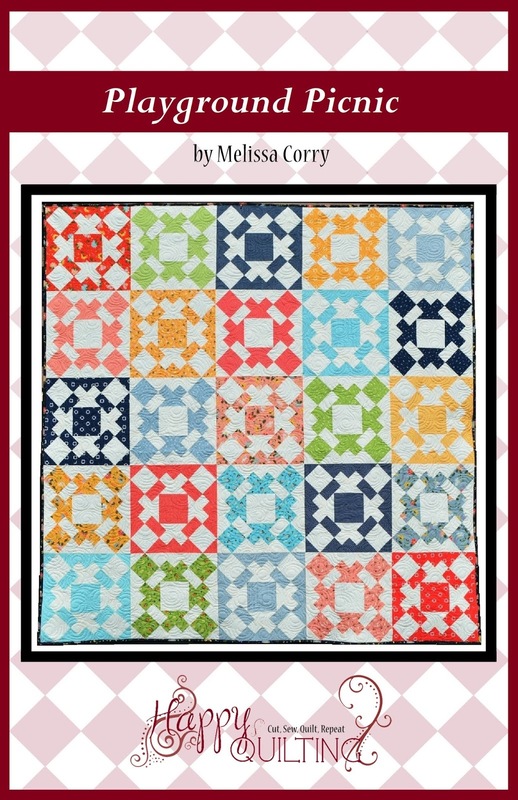 The lucky winner will receive a selection of quilting patterns from Olie and Evie !!! So much fun!!!! ENTRY 2 - Show your Olie and Evie love. You can follow them on Facebook, Instagram at their blog, or Favorite their Shop, or you can visit The Shop and then share a favorite item ;) Just be sure to leave a comment of how you showed your Olie and Evie Love!!! My good friend and owner of Kimberly's Fabric Stash, Kimberly Chaffee wrote this amazing article on Mary Brooks Picken for her County Register. I am so happy that she is allowing me to share it here on my blog :) It really is just amazing to read about some of the beginning of this amazing industry that we now love ;) So without further ado . . .
Modern Sewing has its many influential people that have shaped the way you sew, where you sew, and how you sew. We know the names of Eleanor Burns, Nancy Zieman, Alex Anderson and many talented women that introduced us to new ways to design and fabricate everything from quilts to home décor. These women are held up in modern times as leaders in the sewing industry and their means of delivery has been in large part through television and the internet along with many published books. Let me introduce you to the most influential woman that literally transformed thousands of women from ordinary clothing menders, to clothing specialists, capable of making a living and improving their homes with their sewing machines. At a time when most women were not able to vote, and less than 10% worked outside the home, a widowed woman from the Midwest moved East and began the most fascinating and influential career in sewing I believe I have ever witnessed. Her name is Mary Brooks Picken, and if you stop for a moment, and look thru your library of sewing books, you may find The Singer Sewing Book , published by Singer in 1949, and written by this remarkable woman. This book is the authority on proper sewing technique covering everything from dressmaking to rugmaking. Although, upon closer inspection of your library you may find several of her books, since she wrote 91 during her career. 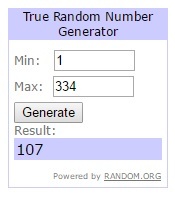 I find writing 91 books exceptional? Why? By the time she was 28 years old in 1914, Mary had already written 64 textbooks and two dressmaking courses for the popular International Correspondence School located in Scranton, Pa.
Widowed at the age of 25, she was recruited by the school and opened the Women’s Institute under the ICS parent company. Courses offered at the institute were in sewing, dressmaking, millinery, and cooking. At 35 years of age, Ms. Picken had earned the role of Vice President for the Women’s Institute and a million dollar structure was built across the street from the ICS June 3rd, 1920. The 125,000 women enrolled mainly from the United States, but also internationally, earned the praise from many influential sources including the U.S. commissioner of education at the time, P.P. Claxon. "In America at least, the home is the most important of all institutions" for it is the home that establishes the "physical, mental, and moral education" of children.” During the same period from 1920 thru 1925 Mary was editor of her quarterly publication, Fashion Service, and enrollment at her institute doubled to 253,000 enrollees. Having accomplished the monumental task of opening a school advancing women’s domestic skills, Mary moved forward and “begins a career in advertising with Singer Sewing, Dennison Crafts, and The Spool Cotton Company” (Barickman 2010). The Women’s Institute survived until 1937, due to a downturn from the Great Depression. 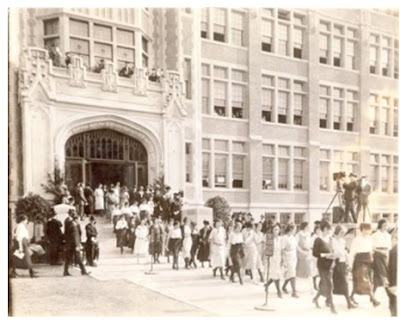 In 1939 Mary opened the Mary Brooks Picken school on Madison Ave. in New York. She also released 3 books on fashion that same year. During World War II there was a huge revitalization in sewing and women were encouraged to repurpose old clothes. The women that had completed courses from the Women’s Institute were skilled in accomplishing this and many were writing to magazines about what they had altered and renewed. 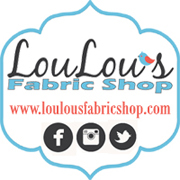 By 1942 fabric sales were up by 50 percent over the previous year, and in 1943 70 million patterns were sold over the counter. In 1949, Mary at the age of 63, wrote The Singer Sewing Book, which in 2 years sold 380,000 copies, and at its completion of printing sold over 8 million copies. At the age of 74, she was syndicated, writing a weekly column that reached 300 newspapers. Not much is written about her golden years, and she died the 6th of March, 1981 at the age of 94. Mary Brooks Picken led an extraordinary life, and not only made a wonderful career from sewing and writing, but directly influenced women to take pride in their craftsmanship, and encouraged other towards entrepreneurship. I wonder today how many of Mary’s techniques are being replicated as “new” or “modern” in the sewing industry. Her methods taught women to abandon the ordinary, mundane task of sewing, and instead put their new skills toward making their homes and family fashionable and stylish. Mary Brooks Picken, an exceptional woman, whose techniques are still utilized today in everything we sew. For further reading I encourage you to pick up a copy of Vintage Notions by Amy Barickman. 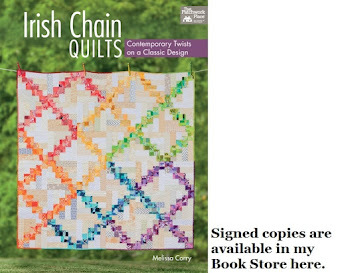 The book is a compilation of patterns, techniques, recipes, and other things taught by Mary Brooks Picken at the Women’s Institute. Thank you so much Kimberly for sharing this with us!!! So amazing!!! 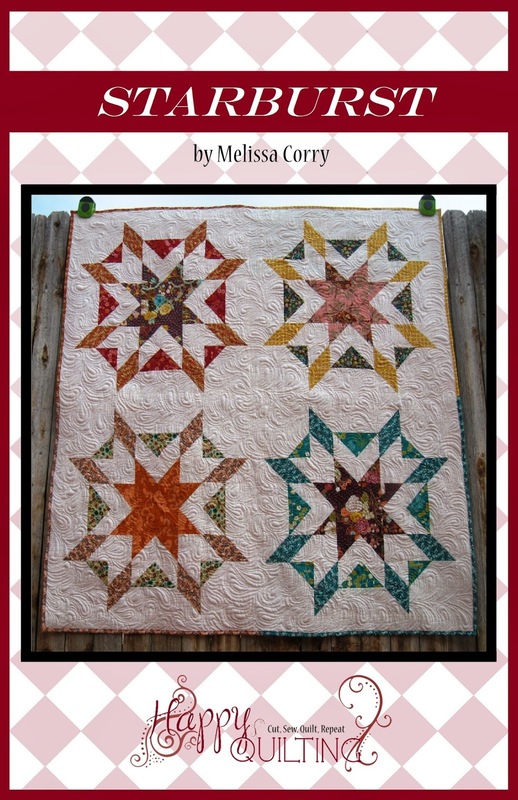 Be sure to pop on over and say Hi to Kimberly at her blog ;) And I hope you all have a very Happy Quilting Day!!! EEEkkk, I can't believe it is finally here. I am so excited!!! You might remember clear back here when I spilled the beans about getting to teach on a quilting cruise . . . Well, I am on my way!!!!! I will be sure and take lots of pictures so I can share everything when I get back ;) So see ya in a week!!! 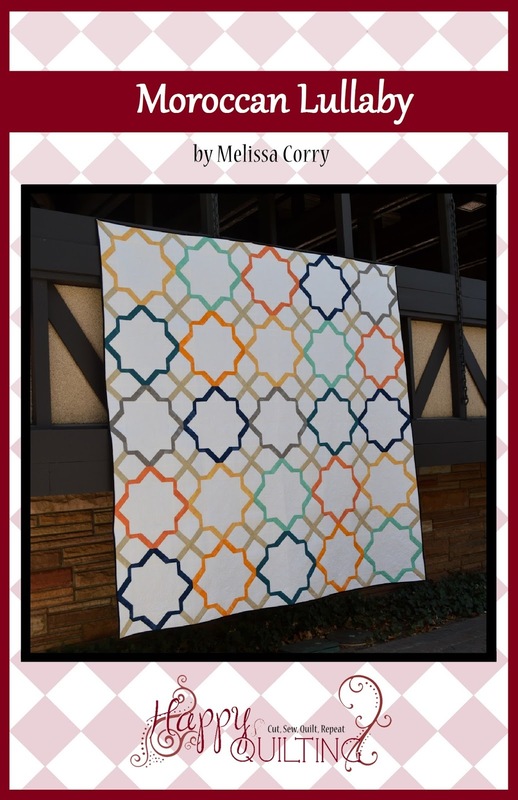 I am so very excited to share my newest quilt finish this morning!!! 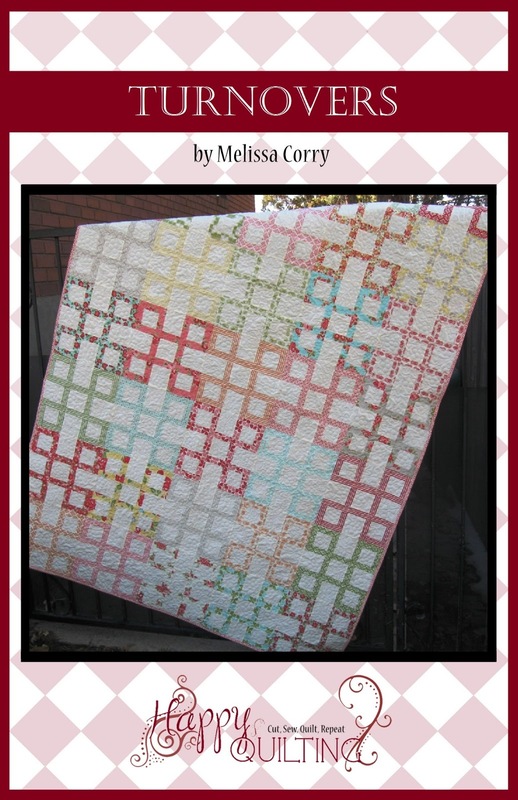 It's called Layer Cake Pop and it is another fabulous Shortcut Quilt from Fat Quarter Shop!!! And I have to say, I just love it!!!! 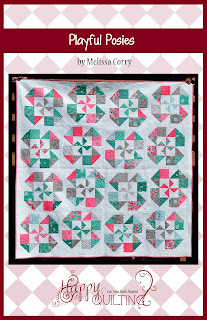 I know I have said it before, but the Shortcut quilts are just so great!!! They really are just like they sound, a shortcut. They go together so fast and are so much fun to make. 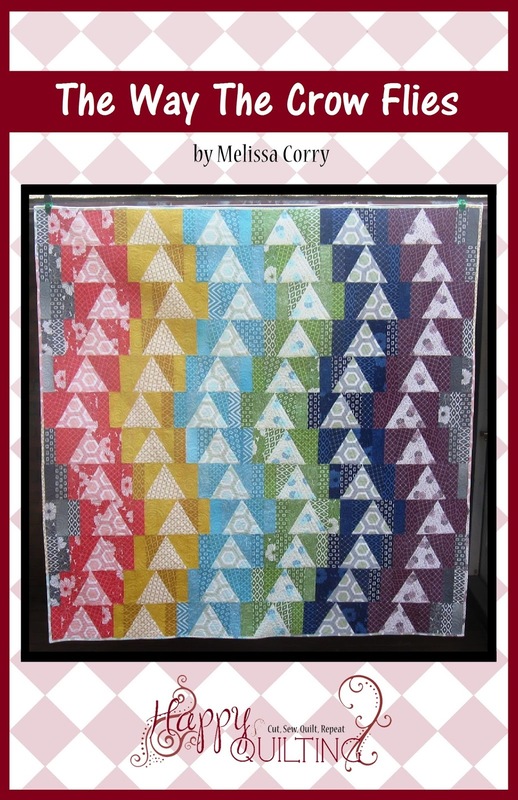 For my quilt I used some background yardage and a Layer Cake of Maven by Basic Grey for Moda. I just love how chic it is in all its black, grey and tan goodness!!! 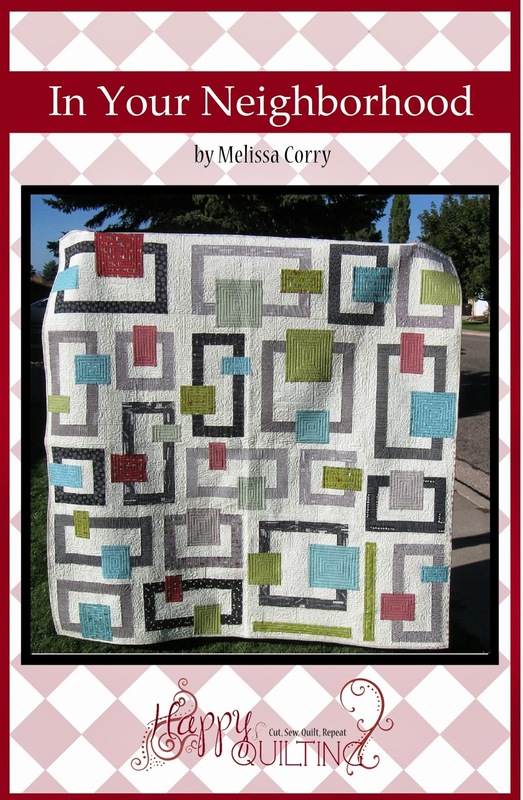 And that is my Layer Cake Pop Quilt!!! And I just love how it pops in the afternoon sun, just like its fun name :) I already want to make another one, just need to pick out a Layer Cake!!! 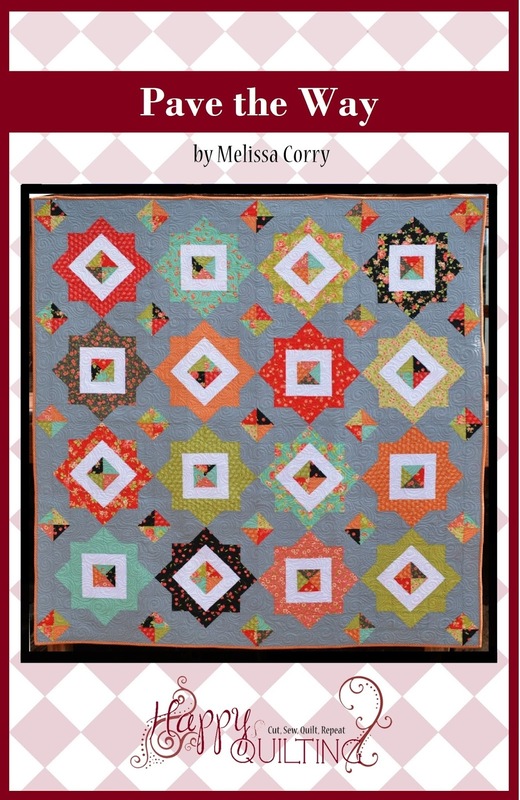 I hope you have a very Happy Quilting Day!!! I have to admit, I am a pretty big fan of pink (It doesn't beat out purple of course, but it is up there ;) so I was excited when Robert Kaufman announced the Kona color of the year as Pink Flamingo. And what a treat to get an entire charm park of lovely Pink Flamingo. And how cute are those patterns to make up with that pink goodness!!! And this month's notions were awesome!!! I always, always, always need new rotary blades. Does anyone else feel that crazy mixed emotion each time you put in a blade. You are so excited with how sharp it is and how nicely it cuts and then you feel kind of silly for waiting so long to change it and wonder why you have been dealing with that dull blade for a month. Or is that just me?? 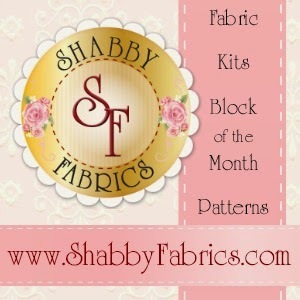 And of course, I had to whip up the monthly sampler block. And you know I just love this month's because it's a star!!! I can't believe this is block 10 already!! Before I know it, I will be putting the quilt top together ;) So exciting!!! 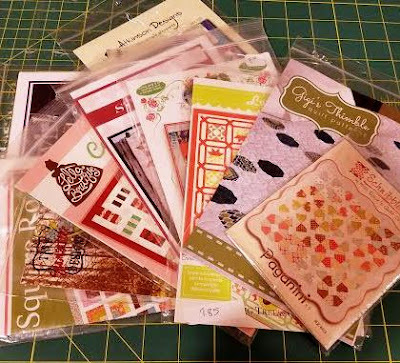 And now, I get to look forward to Christmas in February when my next Sew Sampler Box arrives . 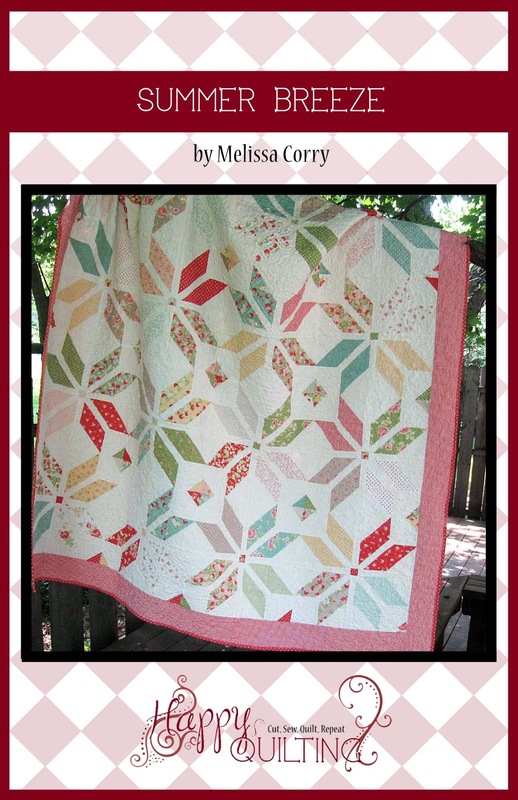 Ohh, I just love all of the amazing quilting goodness!!! 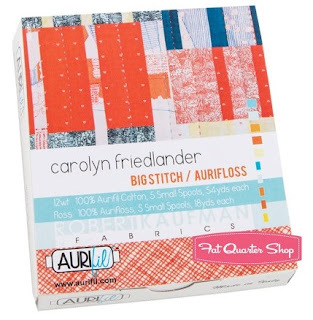 And for today's Terrific Tuesday Giveaway Fat Quarter Shop is giving one lucky reader a Carolyn Friedlander Big Stitch/ Aurifloss Thread Set!!!! Someone is going to have a whole lot of stitching fun with this beautiful Aurifloss !!! It's Road to California this week and I was super excited to get to make this beautiful solids quilt for Moda to hang in their booth!!! It's called This Way and That Way and how fun is it!!! 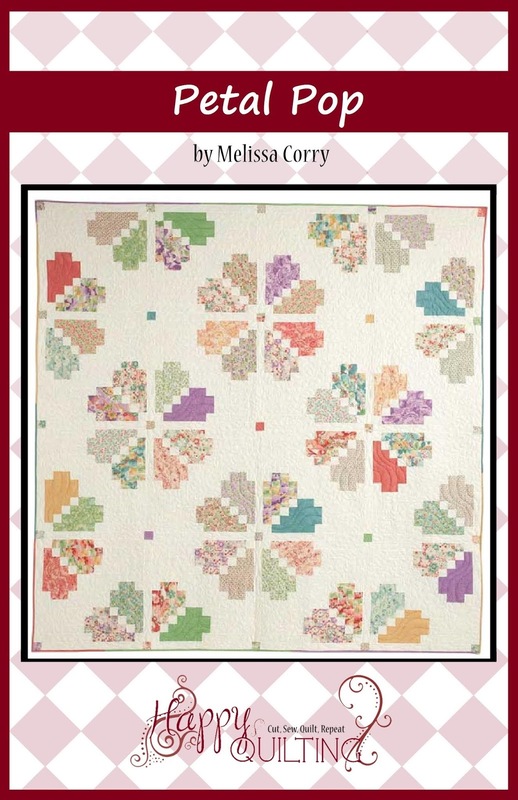 The pattern is from Me and my Sister Designs new book 12-Pack Quilts . 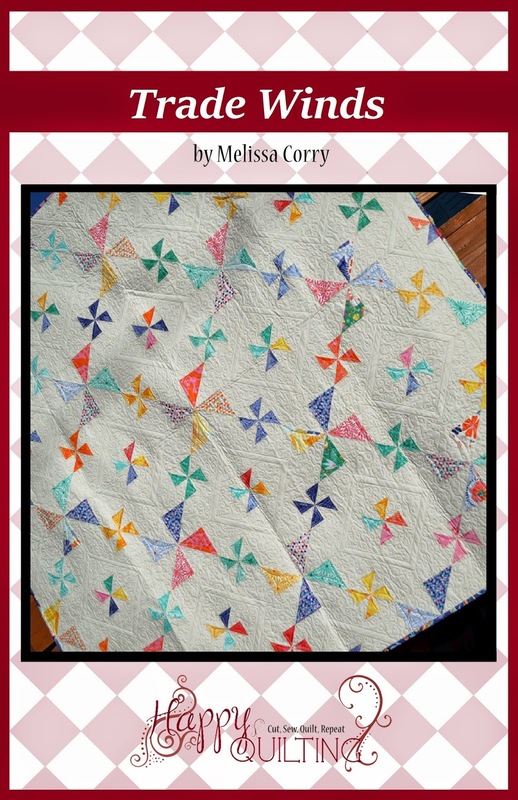 What a fun idea for a book, quilts made up using just 12 Fat Quarters. Sure made the cutting go super fast!!! 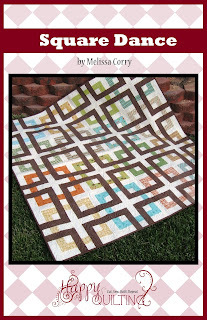 This quilt uses the Bella Solids Designer Pack by Vanessa Christensen. Aren't those colors just so yummy!!! 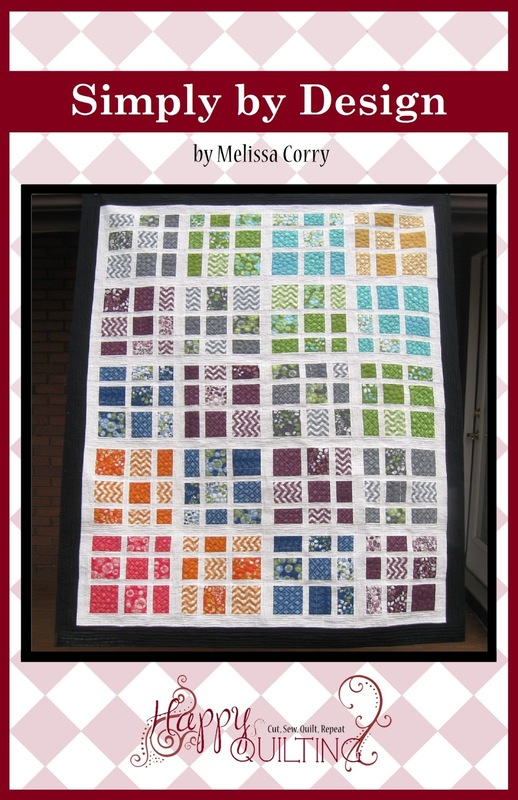 This was such a fun quilt to make. It went together fast and I really enjoyed working with the solids. Every time I make a solid quilt I remember how much fun they are ;) And I just love the fun secondary designs in the pattern!! But I am sure it is looking awesome at Road to California and that makes it all great!!! 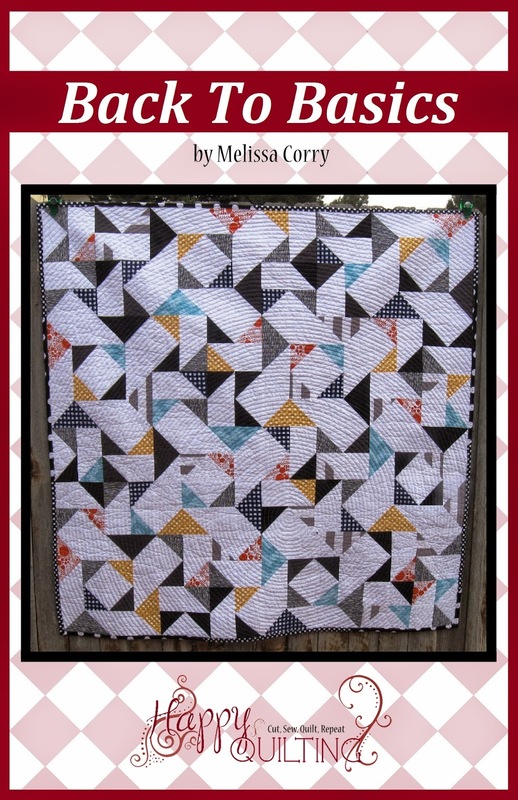 I am just so happy I got to make up this awesome quilt for Moda and already have it on my list to make again!!! And that is my This Way and That Way Quilt!!! I had so much fun going through my scrap drawer and picking the perfect blues to go together. It really is a lot of fun to play with the contrast all in one color. And I used my lovely Aurifil threads for the beautiful blanket stitch around the applique. I wanted a nice contrast on the applique so I used 50 wt Medium Deft Blue #2783 on the white petals and my go to 50 wt White #2024 on the navy petal. I love how they just pop!!! And you might have noticed by now that my center applique is not a cat as in the original pattern. So ya, I am totally afraid of cats (and dogs for that matter :) I know, silly right. I am working on it but the long and the short of it is that they scare me. So, rather than be reminded of my irrational fear every time I look at this quilt, I decided to change out the center applique. 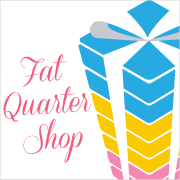 And wouldn't you know it, I had these awesome Impressions Templates from Fat Quarter Shop's December Sew Sampler box that I have so wanting to try out. And yup, they were awesome!!! So that is my Aurifil January Block!!! 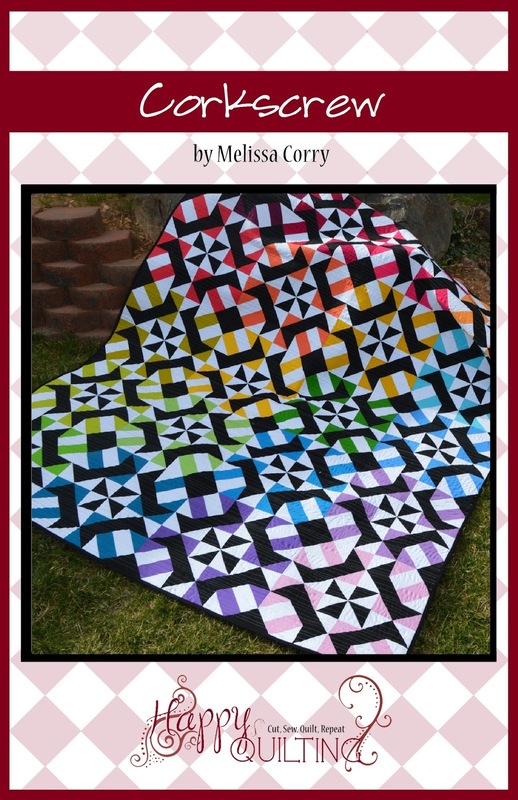 You can find the Janet's fantastic pattern for this block right over here and then be sure to pop over here to read Janet's interview. She is such an amazing designer and it was so fun to get to read all about what inspires her designs!!! 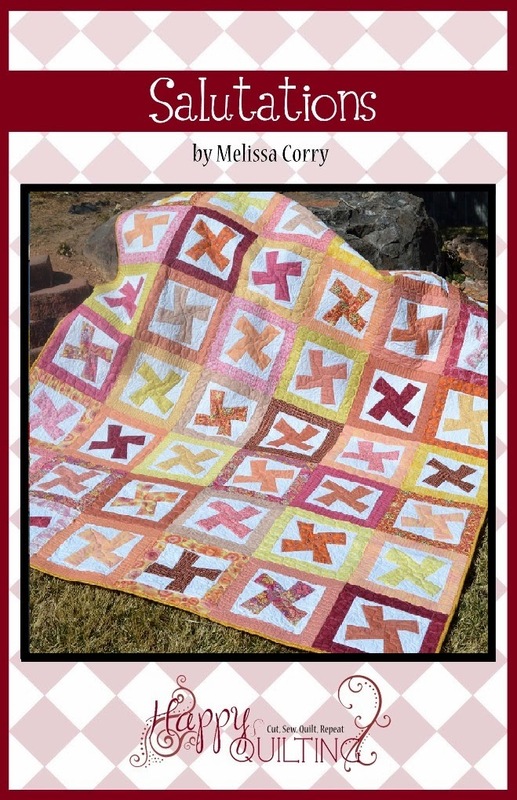 I always love to participate in the MQG Charity Quilts. 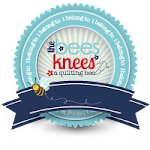 And as an individual member, I have the opportunity to work with wonderful new quilters each year as we are rounded up in a region. 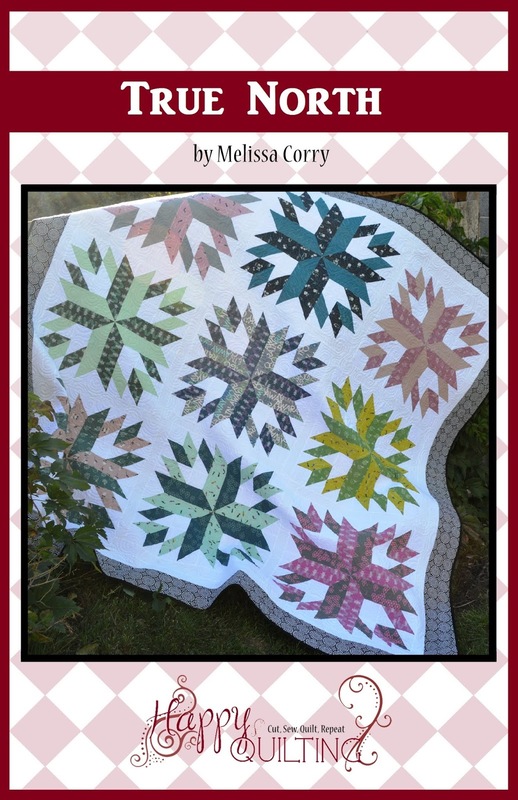 This year our Mountain West gals decided on wonky stars in alternating scale. Aren't they just so fun!!! And guess who got to do the quilting ;) Yup, little ole me and I figured what would go better with it's wonky improv. goodness than some Graffiti Quilting!!! 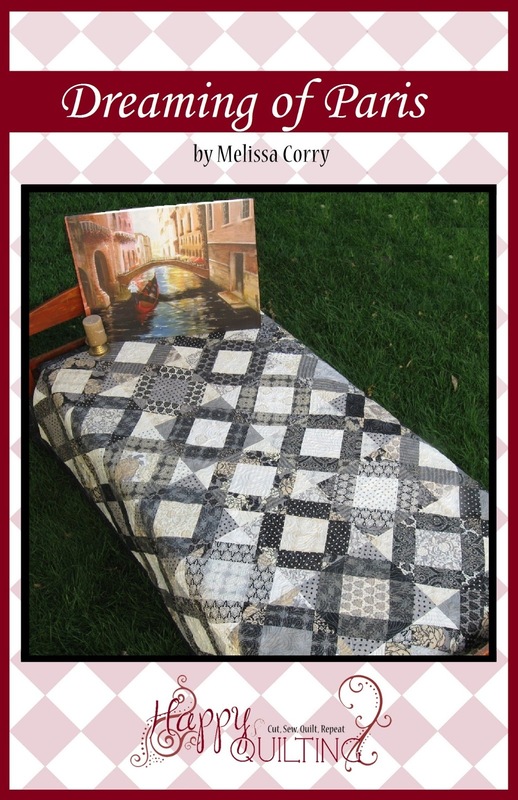 And I quickly realized that grafatti quilting is all about everything touching and "growing" out of the previous design. 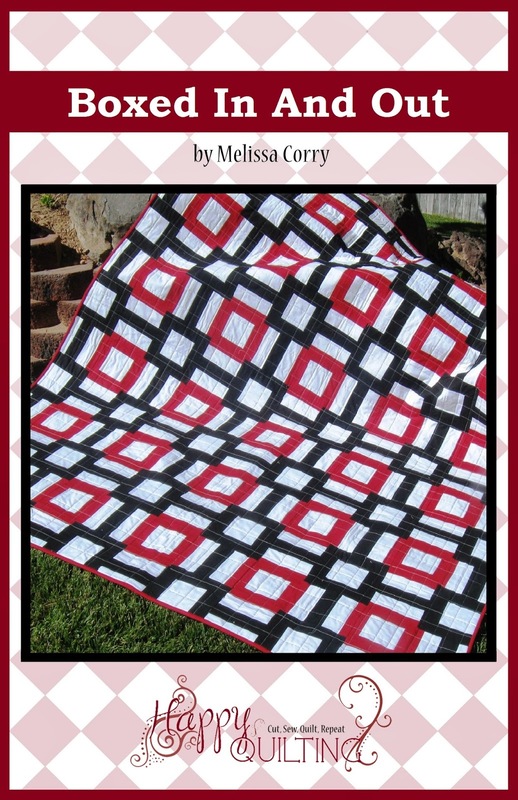 This was a bit of a change from the usual way I quilt all over as I don't tend to cross over of bounce off anything. But I got the hang of it after a little bit and just love the way the designs transition into each other. All in all, I am so super happy with the outcome!!! 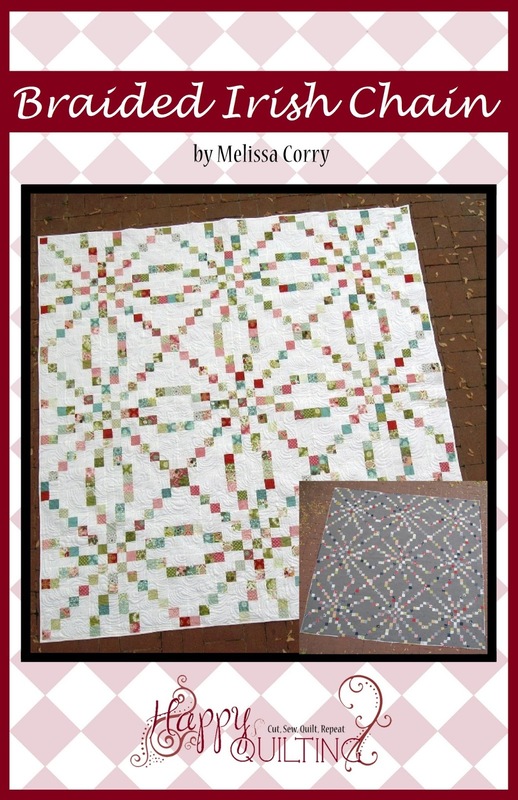 It was something new, something that forced me out of my comfort zone and stretched me as a quilter. And I am glad to say that I really feel like I learned a lot and finished up a pretty awesome quilt at the same time. And once I had all of the background finished, I changed my thread out and quilted up the fun little stars ;) You can't really see the quilting on the front, so here they are from the back. Aren't they just so cute!!! And I have to say, my favorite thing about working on these MQG Charity Quilts is seeing how everyone can come together even across long distances. This was such an awesome collaboration ;) Everyone in our group, including Theresa, Christi, and Liz made stars and then Alissa pieced the top, Jane pieced the back, I did the quilting, Melanie is adding the binding, and then Naomi is putting on the label and quilt sleeve. It just warms my heart to see how much love was put into this. Oh, and just in case you are wondering, this fun quilt was named A Galaxy Far, Far Away :) Gotta love me some Star Wars!!! 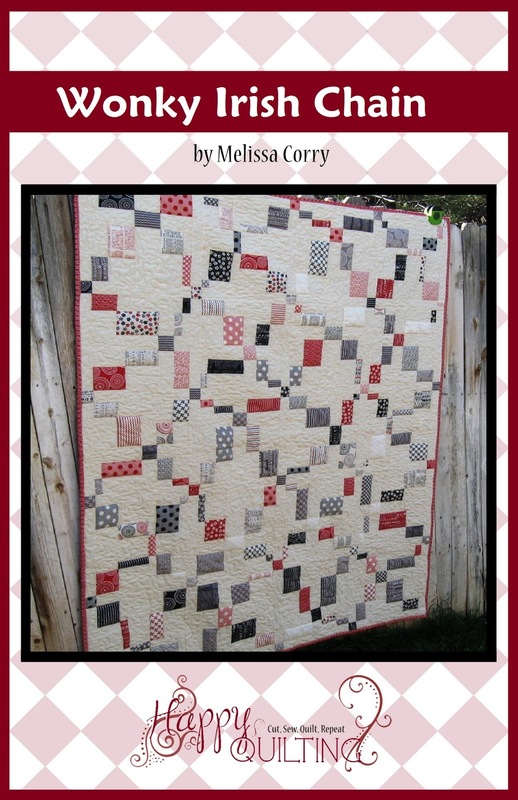 I hope you are having a very Happy Quilting Day!!! 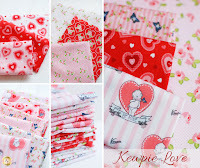 And for the Terrific Tuesday Giveaway Shabby Fabrics is giving one lucky winner a Kewpie Love Fat Quarter Set!!!!! How adorable is that, one lucky readers is going to have the perfect collection to make something adorable for Valentines Day!! !